Most know that Sir Arthur Conan Doyle and Harry Houdini were friends in real-life. But Houdini has also has a regular partnership with Sherlock Holmes in the pages of fiction. 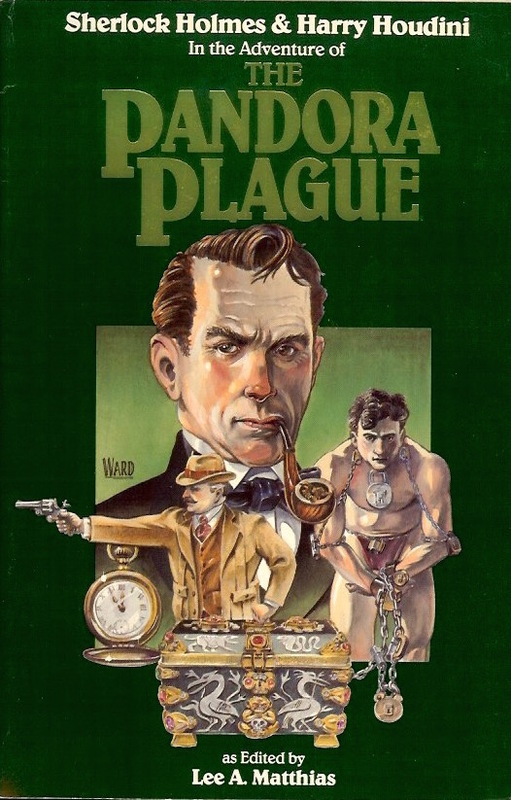 The Pandora Plague by Lee A. Matthias was one of their early encounters. Sherlock Holmes and Dr. Watson team up with the master magician Harry Houdini in another thrilling mystery in the life of the greatest detective of all time. Houdini is entrusted with a strange locked box from the Far East and is asked to open it. But even he has no way of getting into it until Holmes and Watson join him in solving the riddle of its lock. And when the box is opened, the three investigators unwittingly become entangled with THE PANDORA PLAGUE.